The retreat center is made up of the original Olmsted estate, modern facilities built to accommodate the needs of our guests, and 300 total acres, 30 of which are beautifully developed land. The Manor House, Groves Lodge, and the Carriage House are available for overnight stays, with Hickman Hall serving as a meeting and conference area. The Manor House is an original 1917 Tudor style mansion with accommodations for 12 overnight guests, living area, and full kitchen. 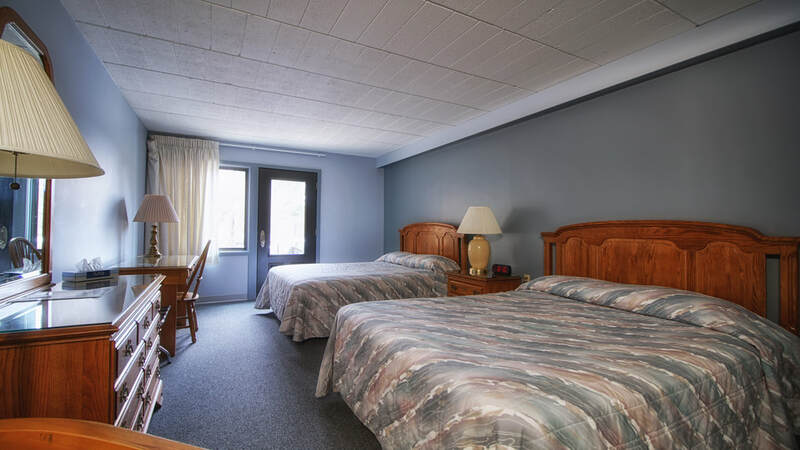 Groves Lodge is a modern, fully accessible facility with overnight accommodations for 42 adults and central dining accommodations for 50. The Carriage House is a private apartment-style accommodation located above the former Olmsted carriage garage. Hickman Hall is a spacious, fully-equipped meeting facility with conference chairs and tables for 40 guests. The Grounds at Olmsted boast a total of 300 acres, 30 of which are developed and beautifully maintained year round.